If you're looking to start a family in Canada, you might want to consider moving to Saint-Bruno-de-Montarville, Que. That's because the city was just crowned Canada's best place to raise kids in 2017. MoneySense released its annual list on Tuesday, and based its ranking on factors such as daycare costs, the number of children at home and household income. Because of these factors, it's not surprising that eight of the top 10 cities on the list are in Quebec. Since the province's daycare costs are subsidized by the government, parents only spend about $164 on child care per month. In comparison, other markets can average up to $1,649 per month, according to the Canadian Centre for Policy Alternatives. "Child care fees vary predictably across the country based on provincial policy," Martha Friendly, executive director of the Childcare Resource and Research Unit, said in a 2016 press release. "They are lowest in provinces that set the fees and higher in the cities that are market driven." As a result of the low child care costs, cities in Quebec ranked higher on MoneySense's list. Additionally, because the site's rankings were based on the number of children at home, that also gave Quebec cities a boost. According to 2011 data from Statistics Canada, Quebec had the third-highest percentage growth of young kids in the country. Assuming numbers have not changed, that means there are more children in Quebec proportionally than in most of Canada. Thus, Quebec cities will always rank higher, because the list assumes that the more kids there are in a city, the better it is for children in general. But just because the factors used to compile the list are skewed towards Quebec, that doesn't mean the cities that ranked in the top 10 aren't great. After all, the number one city, Saint-Bruno, not only has a population where 48.4 per cent of children are at home, but it also has a ton of green space (and even its own national park), as well as a free summer program for kids called Parcs récréatifs – Service d'animation gratuite. MoneySense also noted that Saint-Bruno has affordable housing (the average house is worth roughly $433,000) and the unemployment rate is below three per cent. 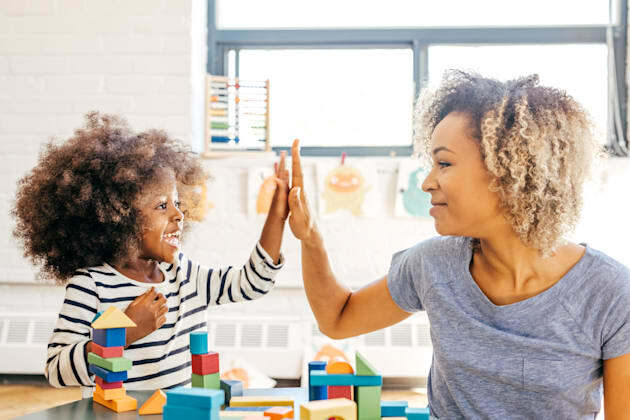 Visit MoneySense to see the full list of Canada's best places to raise kids, or check out the list below to see the best places by region.